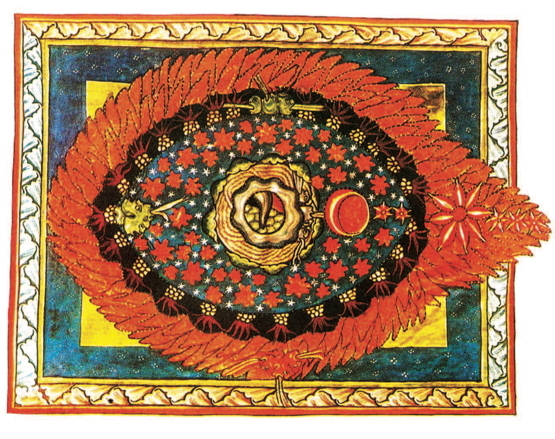 Hildegard of Bingen – this medieval mystic, considered a saint, was the first female Composer whose works were documented. They are connected to the Georgian Chant without being impersonal: the deep emotions and the personality of the author are to be found. For Hildegard, music was a pure reminiscence of paradise, where Adam sang psalms with angels, to the glory of creator. She thought that singing should be integral part of the liturgy, being a unique form of prayer, bringing people closer to God. Which is exactly what inspired Klaus Kugel and Waclaw Zimpel to create a modern ritual with it‘s core set in the European musical tradition. The percussion’s use of space makes one think of a medieval cathedral. 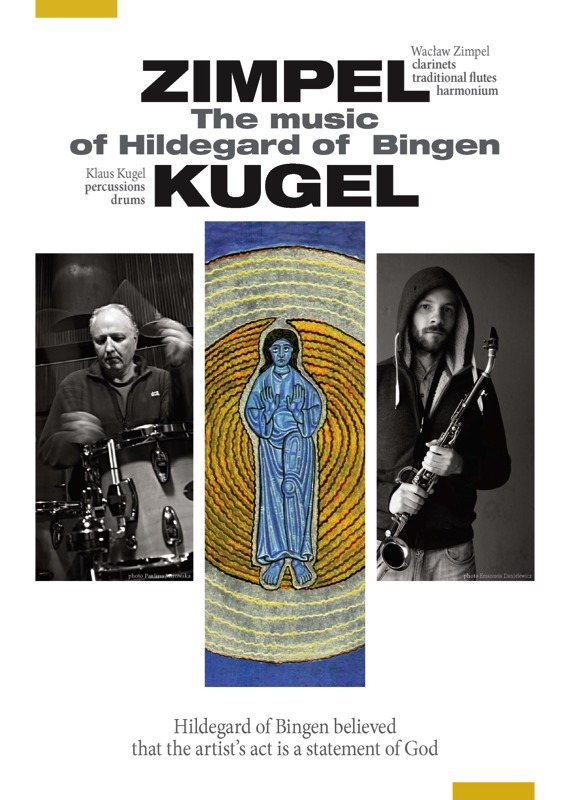 Hildegard’s melodies flawlessly merge with the Clarinet‘s improvisations.